This year’s The Sunderland P. Gardener Lecture, named after a historic figure in Canadian Quaker history, will be delivered by Alastair McIntosh. McIntosh is a noted Scottish, scholar, speaker and author of many books including Soil and Soul: People versus Corporate Power and Hell and High Water: Climate Change, Hope, and the Human Condition. Alastair will be lecturing and facilitating workshops from August 16th to the 20th, 2015, as part of the annual gathering of Canadian Yearly Meeting 2015 at the University of Prince Edward Island. Alastair McIntosh- “(C) Médiathèque Lafarge – Alain Le Breton”. 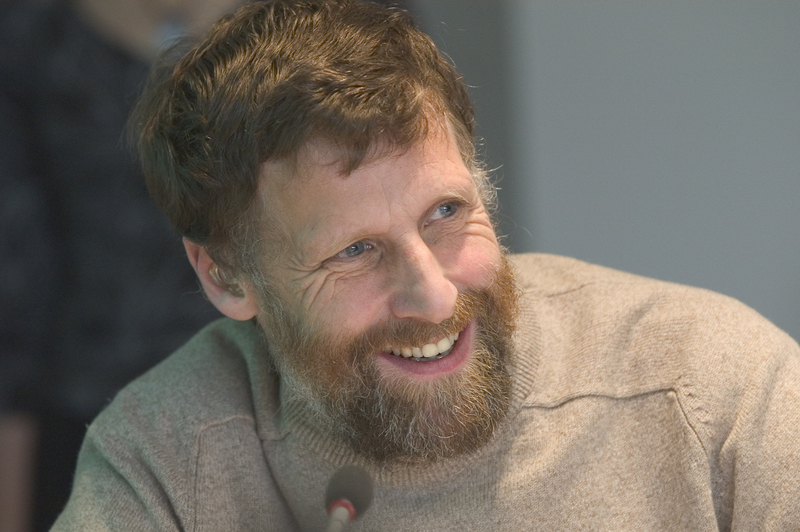 A member of the Religious Society of Friends in Scotland, McIntosh has built an international career as a scholar and public speaker, teaching and lecturing at a variety of universities, and as a frontline activist on behalf of environmental integrity and healthy, resilient human communities. He is especially known for the way he has combined scholarship in theology, poetics, anthropology, and human ecology with the organization of citizen based campaigns to save valued landscapes and human communities from industrial degradation. “Decolonising Land and Soul: a Quaker Testimony.” He will explore the imperatives of Quaker witness for today and will touch on spiritual experience and the Cross as the supreme symbol of nonviolence in our times. Like Quakerism in Canada, McIntosh is broadly universal in his approach to understanding theology. He sees that deep rootedness in the land and attachment to place provide human communities with the best realization of their spiritual potential. An affinity with the traditional spirituality of First Nation peoples is evident in this understanding. More details to come! Stay tuned.